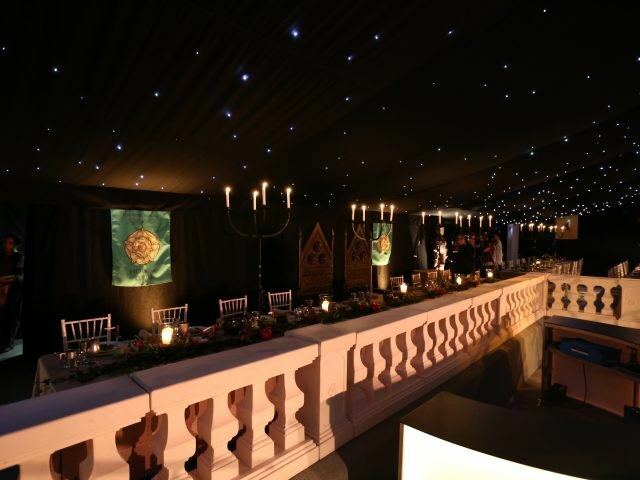 For an inspirational Game of Thrones Private Party, take a look at this incredible film. 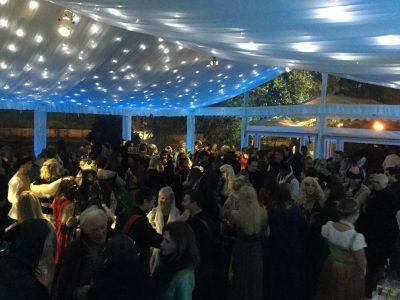 For this event we had a very clear brief; Game of Thrones Private Party. Good Intents met with our creative friends at Event Den, at a location in Reading. The brief: to design a Game of Thrones Private Party. As a result of the site visit, it was decided a split level marquee should be installed on the flat site, one of our more unusual spaces. Located in the garden of the family home, Kings and Queens, knights and renegades made their way down the drive way. This was flanked by lit flambeaux, to the Icy Kingdom beyond the clear roof. 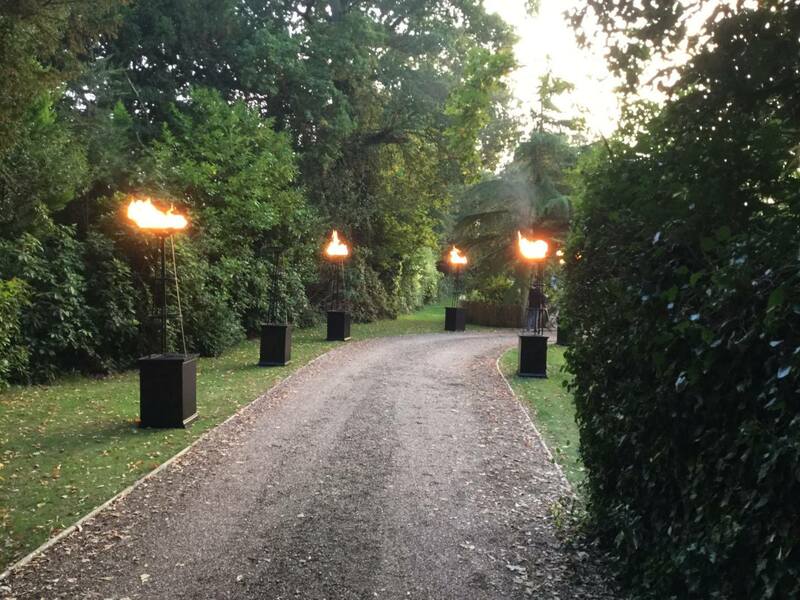 Our friends at Knight Light worked their magic to create very distinct areas. A clear roof canopy led guests into an icy reception entrance for drinks and canapes. The resulting glistening ceiling and shimmering ice effect lighting throughout, created an icy world. It was very reminiscent of Westeros, though in deepest Berkshire. Guests were called to feast in the medieval style banquet hall, complete with black ceiling and the flickering light from candleabra. This resulted in a very dark atmospheric dining experience. 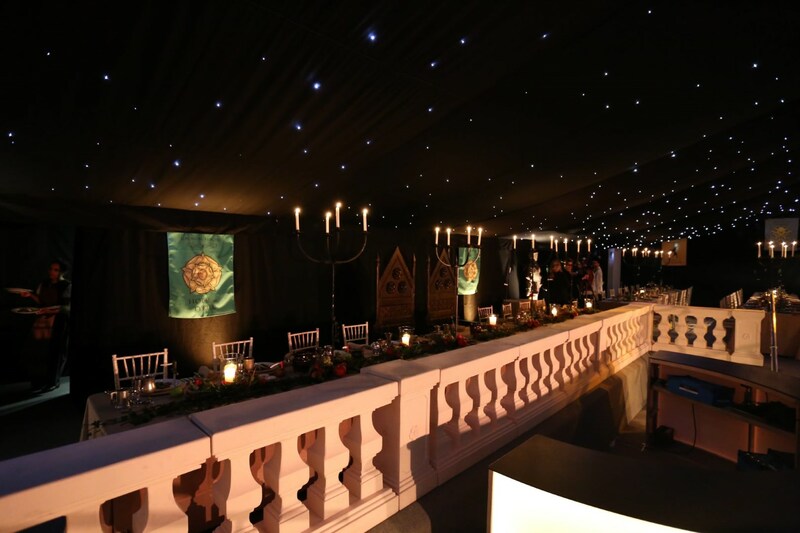 We created a raised banqueting area with a top table at the head of the marquee, thereby creating a medieval banqueting hall. Stone effect balustrade added to the gothic atmosphere, with black starlight ceilings enhancing the theming. 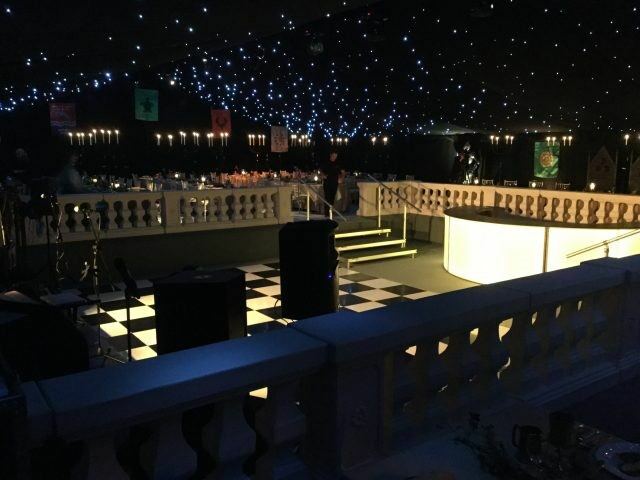 We installed a sunken black and white dancefloor which created a wonderful platform for some spectacular performances. Tables were dressed with all the accoutrements of a medieval event. From wine goblets to wooden serving plates, guests felt every bit like being on the set of Game of Thrones. After dinner had been devoured, guests danced the night away. They were treated to a show from some great professional dancers and incredible entertainment.